Shape memory polyurethane membranes containing multiblock segments of polycaprolactone with 4, 4′-methylenebis (phenyl isocyanate) (MDI) and diol were investigated to separate CO2 from CH4. The permeability and selectivity of membranes for nitrogen, oxygen, methane, and carbon dioxide were studied. This study indicated that permeability of CO2 increased over 2.4 times by the addition of nano hydroxyapatite (NHA) but the selectivity of CO2/CH4 and CO2/O2 were facilitated over 108 and 68 times respectively upon the addition of nano hydroxyapatite. 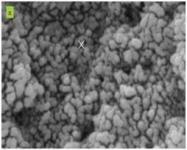 The permselectivity of CO2/N2 improved 34.6 times with nano hydroxyapatite in polyurethane membranes. Characterizations were carried out by X-Ray Diffraction (XRD), Scanning Electron Microscopy (SEM) and Fourier Transform Infrared Spectroscopy (FT-IR).